Download and install latest Lenovo ThinkPad E580 drivers for Windows 10 64 Bit to let your laptop operate correctly. 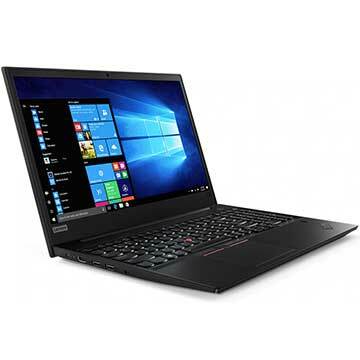 Lenovo ThinkPad E580 is a 15.6 inch laptop powered by up to 8th Generation Intel Core i7-8250U quad-core processor with integrated Intel UHD Graphics 620 video card. This Lenovo E580 notebook PC comes with 8 GB DDR4 2400 MHz system memory and up to 512 GB PCIe NVMe SSD folid state drive to store your files, musics, videos and other documents. This mobile computer features 15.6 inch Full HD (1920x1080) IPS screen display, Intel Dual Band Wireless-AC 3165 Wi-Fi, Bluetooth 4.1, USB 3.1 Gen 1 port, USB 3.1 Gen 2 Type-C (Power Delivery, DisplayPort, Data transfer) port, HDMI port, Micro SD card reader slot, 720p HD web camera, stereo speakers with Dolby Advanced Audio, and 45Wh battery with up to 12.23 hours of battery life. These drivers are compatible with these models : Lenovo ThinkPad E580 20KS, 20KS003SUS, 20KSCTO1WW, 20KS001JIV, 20KS0009ED, 20KS003WUS, 20KS003NUS, 20KS001RUK, 20KS001RPB,20KSS0PA00, 20KSS0MV00.